Ernesto Sopprani- Panel Moderator for Friday's Post-show discussion featuring Queer/Trans Latinx Choreographers. Ernesto Sopprani coordinates location-specific and primarily community-based performance projects. Whether as an artist or as an arch-collaborator, his work is geared towards investigating innovative and self-sustainable models of presenting art and performance. As of late much of his work involves what he calls Arts and Culture Activism, from foresight strategic planning to policy drafting to cultural event’s staging and implementation, he believes we are all involved, either actively or not, in the creation of the next cultural renaissance. As founder Director of THEOFFCENTER Ernesto has overseen the production, curation and execution of dozens of site-specific, research-based art interventions, large scale performance festivals, multiple performer-centered art programs both at presenting houses (YBCA, Mission Cultural Center, Mission Dance, The Magic Theatre, SOMArts and others) as well as public spaces (BART trains, city streets, and a privately owned boxing ring). Additionally, he is director of AIRSpace, SF oldest queer performance incubator. AIRspace is a performing arts residency that supports the creation of new experimental theatre, contemporary dance, spoken word and multidisciplinary performance by providing free rehearsal and performance space as well as critical feedback and artistic development opportunities for emerging LGBTQ artists in the Bay Area. He is also part of the advisory board for Emerging Arts Professionals, a network of art and culture workers in the bay Area, as well as a stewart advisor for the SF arts advocacy network “Arts for a Better Bay Area” or ABBA for short. 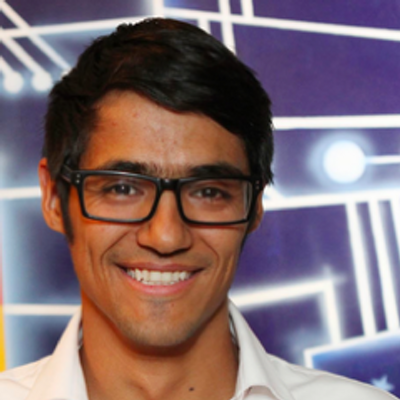 Ernesto is a currently a fellow at YBCA Creative Ecosystem. CatherineMarie Davalos- 3rd Year FLACC featured artist, Director of Dance at St. Mary's College. Panel Moderator for Sunday's Post-show discussion featuring Indigenous contemporary choreographers. 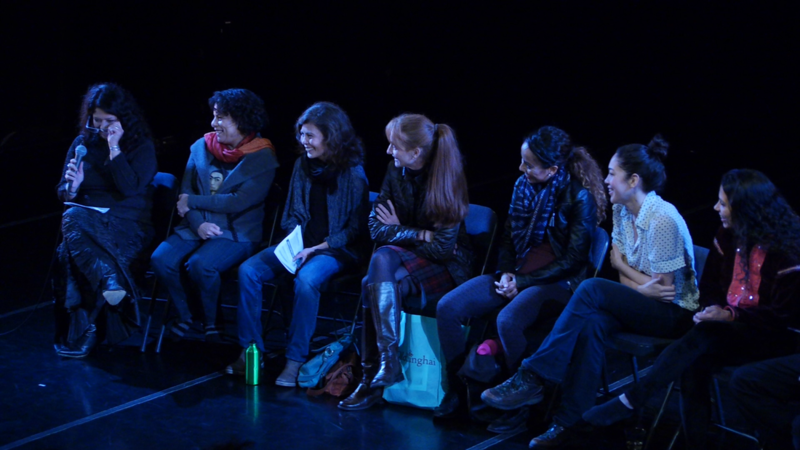 UC Berkeley’s Dance Studies and Performance in the Americas working groups, in collaboration with the Center for Latin American Studies and the Festival of Latin American Contemporary Choreographers, invite you to the 2016 artist panel discussion. We will feature four choreographers: San Francisco-based Sebastian Hernandez; Sabrina Castillo Galluser from Guatemala; Zoe Klein from Colombia/SF; and Diana Lara from Honduras/Mexico/SF Bay Area. 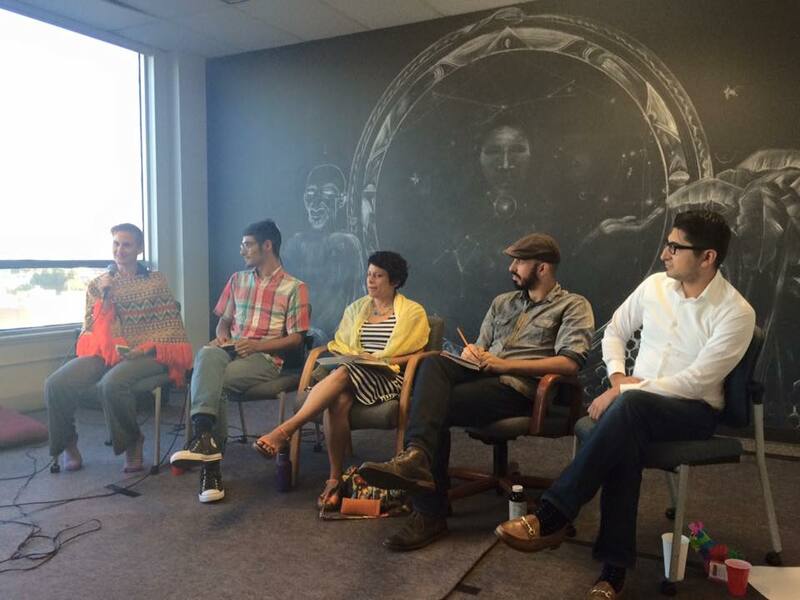 They will discuss the issues of indigeneity, queerness, and latinidad from a hemispheric perspective. Bélgica del Rio and Juan Manuel Aldape Muñoz, Ph.D. students in the performance studies program at UC Berkeley, will facilitate a discussion about contemporary dance across national borders where dance genres have colonial and cultural legacies different from the United States. This event is free and open to the public. Join us to learn about the artists’ work and to ask questions. Food and refreshments provided. 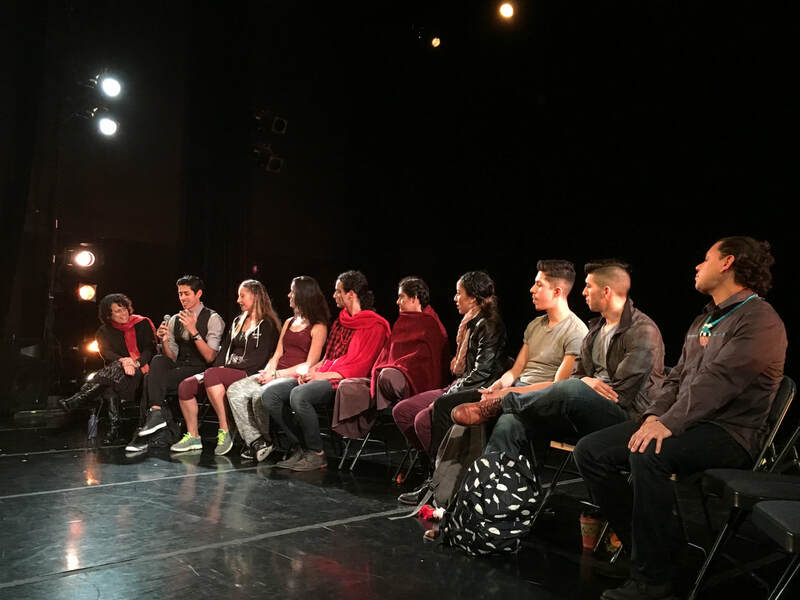 Los grupos de trabajo Estudios de danza y Performance de las Américas en la Universidad de California, Berkeley, en colaboración con el Centro de Estudios de América Latina y el Festival de Coreógrafos Contemporáneos de América Latina, los invitan a la mesa redonda 2016. El evento contará con cuatro coreógrafos: Sebastián Hernández, con sede en San Francisco; Sabrina Castillo Galluser de Guatemala; Zoe Klein de Colombia / SF; y Diana Lara de Honduras / México / SF Bahía. Ellos discutirán los temas de lo indígena, lo queer, y latinidad desde una perspectiva hemisférica. 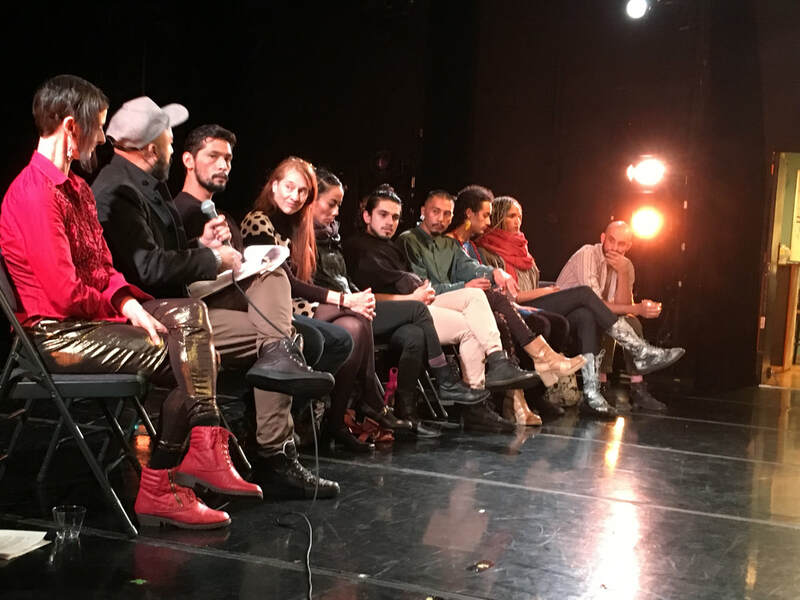 Bélgica del Río y Juan Manuel Muñoz Aldape, estudiantes en el programa de doctorado en estudios de performance en UC Berkeley, facilitarán una discusión acerca de la danza contemporánea a través de fronteras nacionales, donde los géneros de danza tienen legados coloniales y culturales diferentes de los Estados Unidos. Este evento es gratuito y abierto al público. Aprenda sobre el trabajo de los artistas y haga preguntas. Alimentos y bebidas se ofrecerán. Moderator: Juan Manuel Aldape, Ph.D. candidate at UC Berkeley. ¡FLACC! featured artists discuss how identity reveals itself through their artistry and about the relevance of ¡FLACC! personally, artistically, socially or politically as the only annual festival of its kind on the West Coast that celebrates contemporary choreographers of the Latin@ diaspora.